Last year Pure Saginaw gave out over $500 in grants to local art teachers I called it the Saginaw Art Initiative to help with art supplies for students. You can see which schools I sent checks to last year HERE. 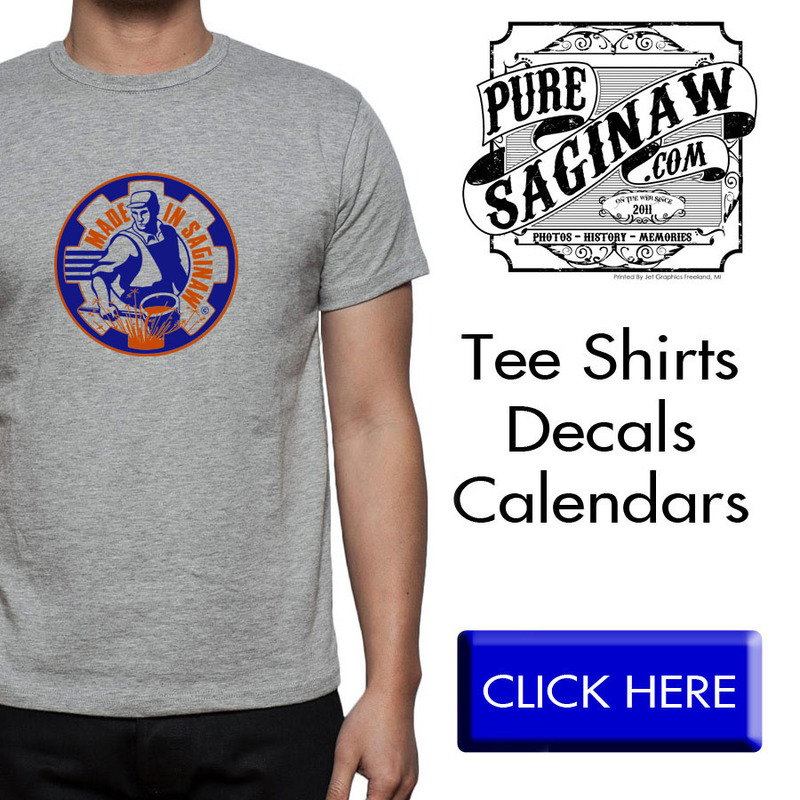 I am giving out grants again this year, and they are funded by the sale of Pure Saginaw calendars and T-shirts. I hope you will consider purchasing a shirt or calendar to help me fund this project. 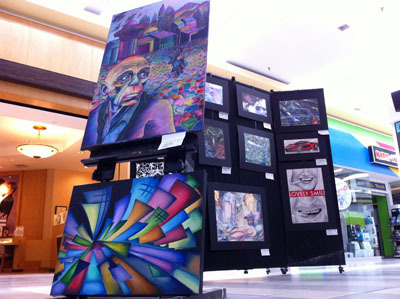 If you are an art teacher in Saginaw County, I hope you will apply for a grant. Send me an email to Mike@huronphoto.com and I will email you a form to fill out, I have already sent out emails to last years teachers, but if I can help out more, that would be wonderful. 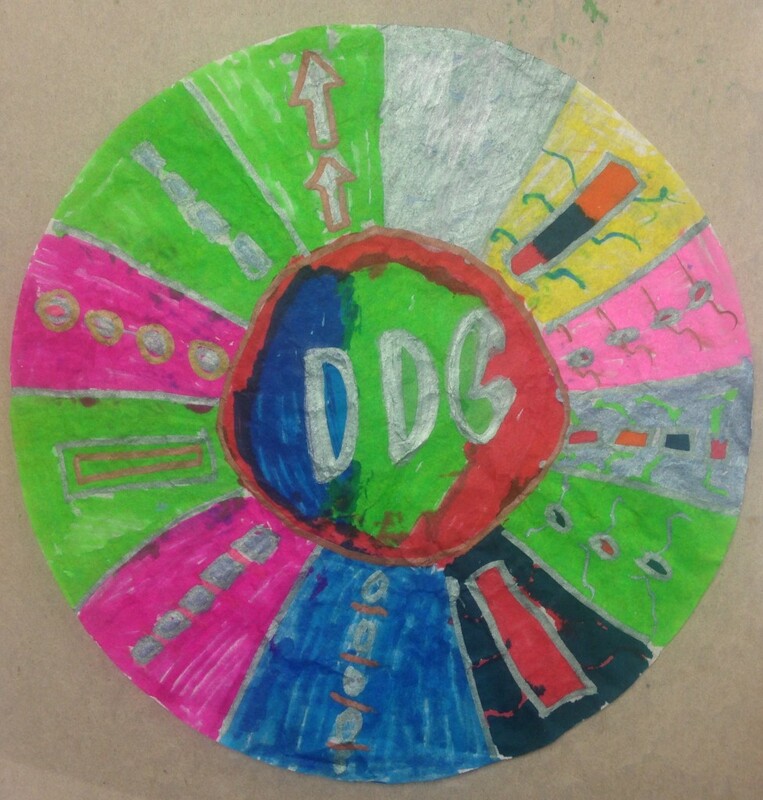 Arrowwood Elementary Art Students Create With Your Help and Pure Saginaw. 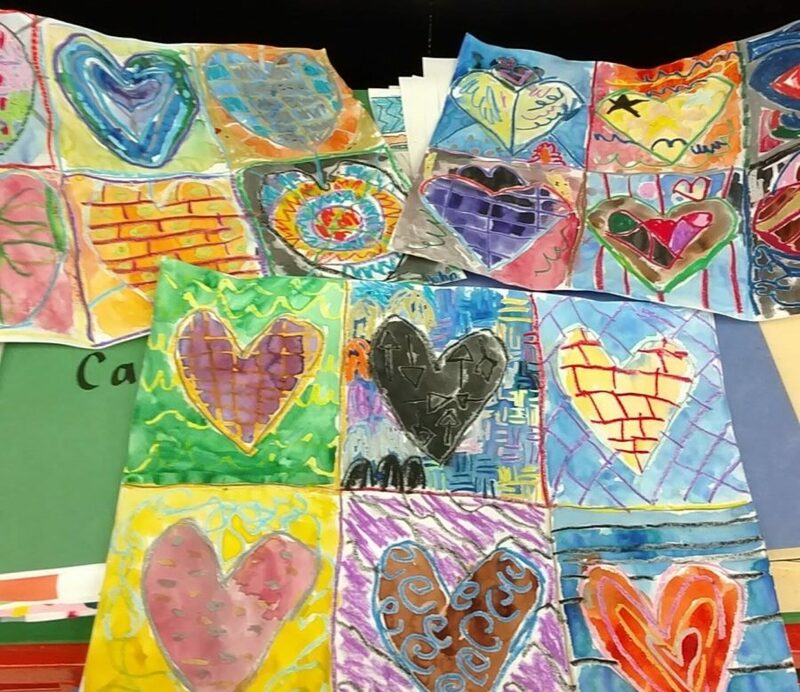 Mrs Cairy, an art teacher at the Saginaw Township Schools, sent me this email with some photos of her 4th grade class student’s artwork. She used the money I sent her from my Pure Saginaw Art Initiative to purchase supplies. Thank you everyone for purchasing a calendar, t-shirt or sticker. 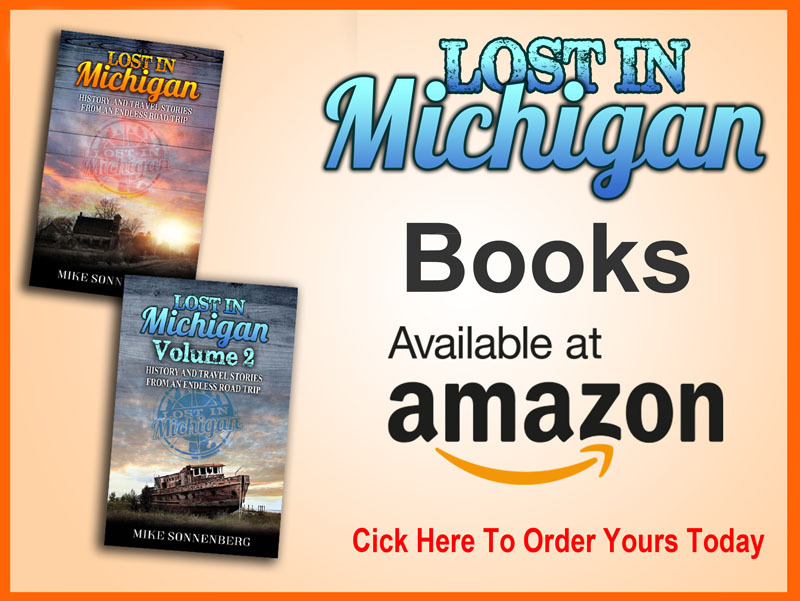 I do my best to give back to Saginaw and hope to be able to do more next school year. The Italian artist Italo Scanga suggested Macchia as the title of the series of work begun in 1981 by Dale Chihuly. The ability of the word “macchia” to encapsulate the concept of the spontaneous outpouring of artistic sensibility may have been the reason why Scanga recommended it to his friend. The word choice encompasses more than the mere fact that a distinguishing feature of this series is the artist’s preference for splotches of color. When Chihuly appropriates the term “Macchia” for his series, he gives back to the word some of its traditional meanings, particularly the emphasis on spontaneity, on artistic collaboration with technique rather than mere control of it, and on close kinship between artist and nature. His works with their vibrant dashes of color embody both interpretations of the sketch: the artist’s conception and the initial realization of it. I purchased new “Extreme Crayola markers (8 sets) and Metallic Crayola markers (8 sets)”, Starch Spray, coffee filters, and double sided tape. 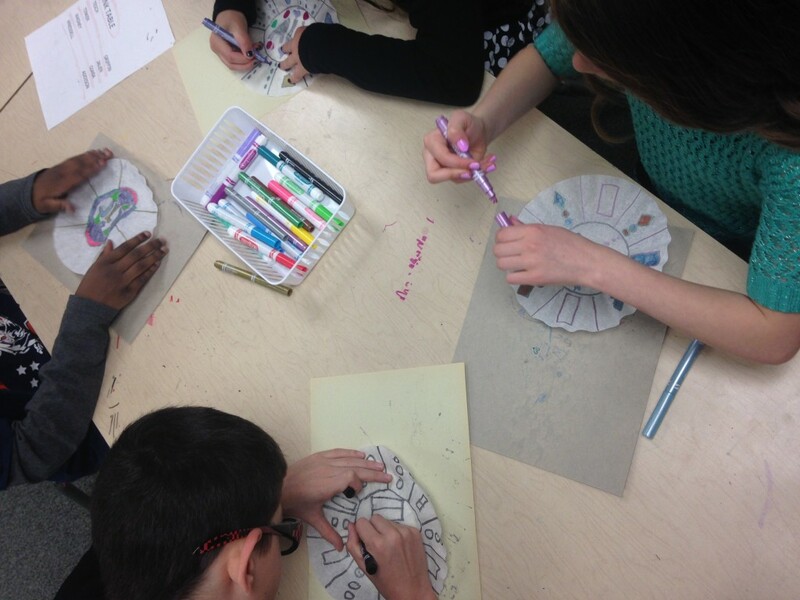 Students worked with radial balance and pattern extending out from the center of the coffee filter. 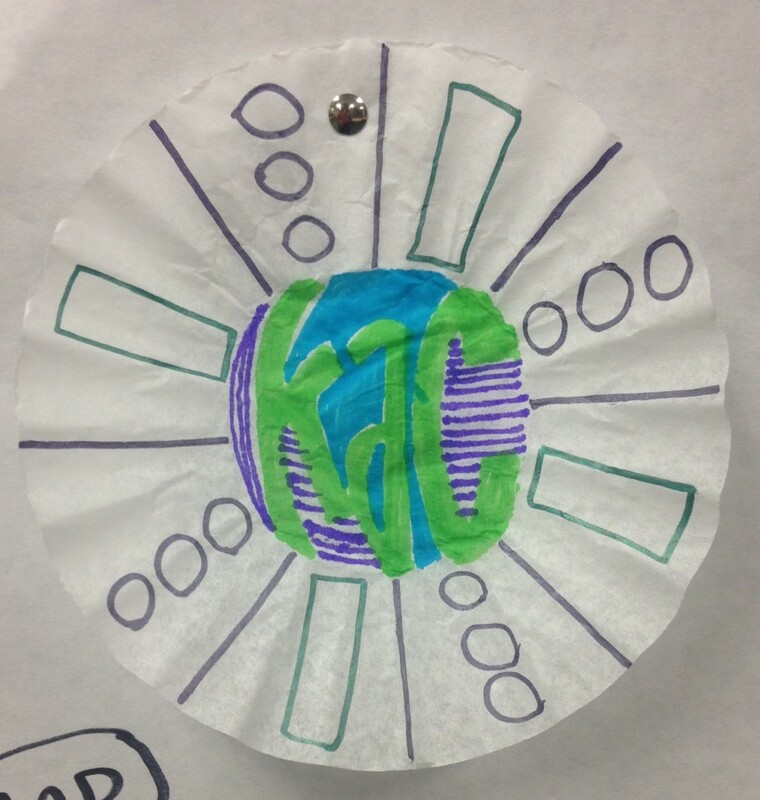 In the center of the coffee filter students drew and designed their initials. Once this was complete I demonstrated placing the coffee filter overtop of a plastic cup, using a rubber band to hold it in place, and then sprayed the coffee filter with the spray starch. Once dry (set for 24 hours), we attached their “Macchia inspired” dish on a colored poster board base and attached with double sided tape. The artwork could be hung on the wall or displayed on a shelf. Thank you again for your donation! You helped make it possible to purchase new and exciting materials for this art project! 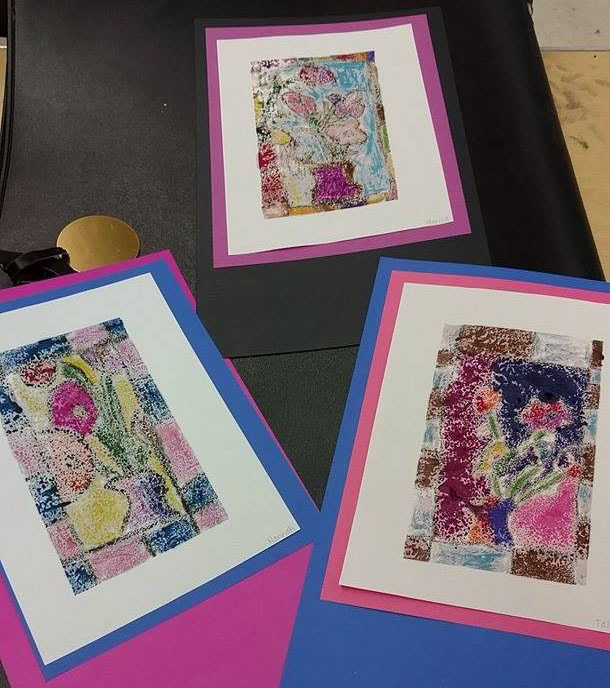 Mrs Price, an art teacher for the city of Saginaw, received one of the Saginaw Art Initiative grants, and this is the message she sent me about how she used the money for her students, along with some photos of her students artwork. from the pics, she has some really talented students, and she is a great teacher. I am one of the thankful art teachers who applied for and received your art teacher grant. I will be sending you a few pictures of a few of the things I spent your gift on. First of all, I teach at Handley, Kempton, and Merrill Park. I made sure I bought items to use at all three schools. I bought sand paper for my second grade sandpaper printmaking project, which I usually buy out of pocket. 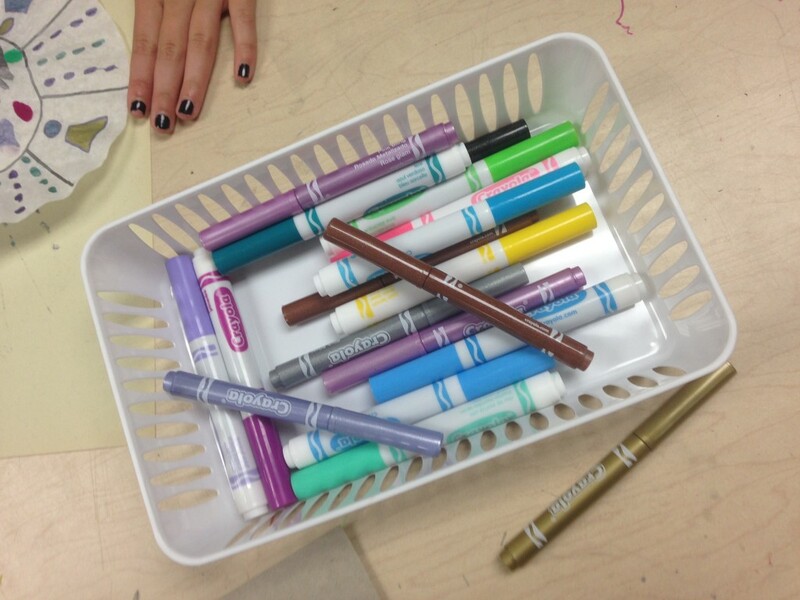 I also purchased larger sets of oil pastels, which have a better variety of colors choices for my students. 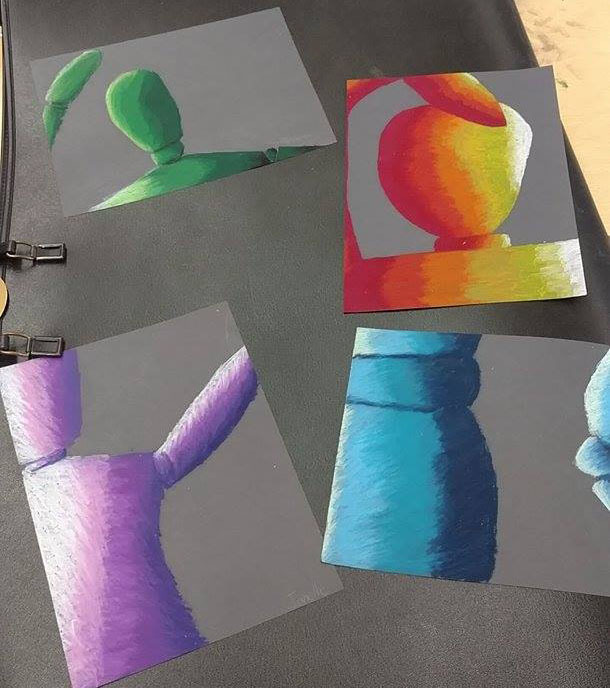 Two projects we are using those for right now are 5th or 6th grade doing color value drawing of the figure mannequin and 3rd graders doing Jim Dine repetetive heart designs. Again, thank you so much for granting us some of your art love! A few months ago I came up with the idea of helping local art teachers with art supplies for their students with the money from calendar and sticker sales. I started the Saginaw Art Initiative HERE and asked Saginaw County art teachers to apply for $50 grants. I had 11 teachers apply, and I was able to give each one a check to help them with supplies. I sent out checks to teachers of the following schools. Thank you to everyone that got a calendar or sticker from me. Hopefully next year we will be able to do even more.